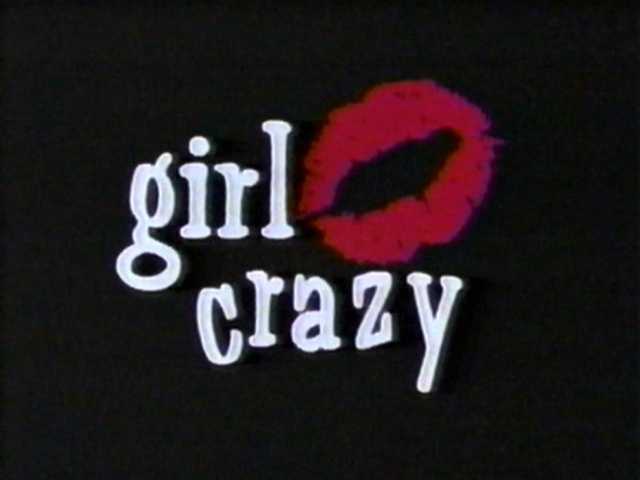 Girl Crazy was a micro-budgeted romantic comedy film that marked the directorial debut for future LDS filmmaker Richard Dutcher. Completed in 1994, the film was sold three years later to HBO's Cinemax service. It was not released internationally and has yet to resurface on any home media platform. Tommy McIntosh (Richard Dutcher) was raised by adoring women, and he adores women. All women. Young ones, old ones[,] short ones, tall ones, black, brown and white ones. He also suffers from a neurotic aversion to men. Put him in with a group of guys and [he'll] vomit, guaranteed. His admiration of the gentler gender lands him in a pack of trouble when the woman he claims to love, Rachel (Linda Bon), finds out that [he's] overstepped the bonds by sleeping around. To win her back, he must learn to be a man and discover that [it's] better to love one woman a hundred percent than to love a hundred women one percent each. The film initially premiered at the Independent Feature Film Market (IFFM) around September 18th-26th, 1994. No theatrical distribution deals were made, but the film was shown on Cinemax on July 1st, 1997. Since then, the rights have reverted back to Dutcher and has plans to release Girl Crazy on DVD, but under one condition. Because Dutcher feels that the final product was "fluff" and "not very good", he intends the DVD to be more of a guide on how to make an independent feature film. Initially announced on his company's website for a 2008-2009 release, the DVD in question has so far not materialized. A private screening of Girl Crazy was held in late 2017 as part of a producing class Dutcher held, but he has still not made the film commercially available. Only a few still shots and the film's poster have surfaced. An image of the film's opening credits has been spotted on a blog, but it's unknown if the owner has a taped copy of the full film. Wikipedia article on Girl Crazy. IMDb page for Girl Crazy. Richard Dutcher interview on Mormon Stories.